ANAHEIM, Calif. (KABC) -- For fans of California Screamin' at Disney's California Adventure, you may want to get on the ride before Jan. 8. After that date, the ride will be closed down for a permanent transformation as Disney creates a four-neighborhood Pixar-themed pier. The Pixar Pier will officially open sometime in summer 2018. The new area will include "The Incredibles," "Toy Story," "Inside Out" and multi-Pixar movie themed neighborhoods. "The Incredibles" area will be around California Screamin', which will become the Incredicoaster. 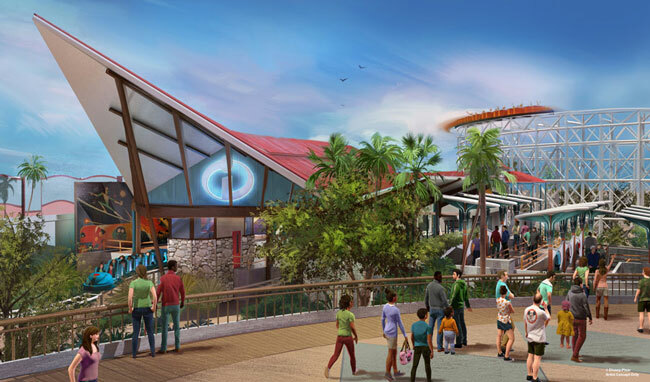 An up-close rendering shows what the new Incredicoaster will look like along Pixar Pier in California Adventure come summer 2018. The Toy Story Mania! ride will anchor the "Toy Story"-themed neighborhood and the "Inside Out" area will be on the western side of the boardwalk. It will also include a new attraction, but it was unclear what it would be. The final neighborhood will be a "celebration of many of your favorite Pixar stories," according to the Disney Parks Blog. While Mickey's Fun Wheel will get a new look that includes different Pixar characters on each of the 24 gondolas, the iconic Mickey face will remain on the side of the wheel facing Paradise Bay. The board games, stores and Fun Wheel will also close on Jan. 8 for the permanent transformations. The popular Ariel's Grotto, which features dinner with Disney princesses, and adjoining Cove Bar will close on the same day and are going to be transformed into a new lounge and grill. 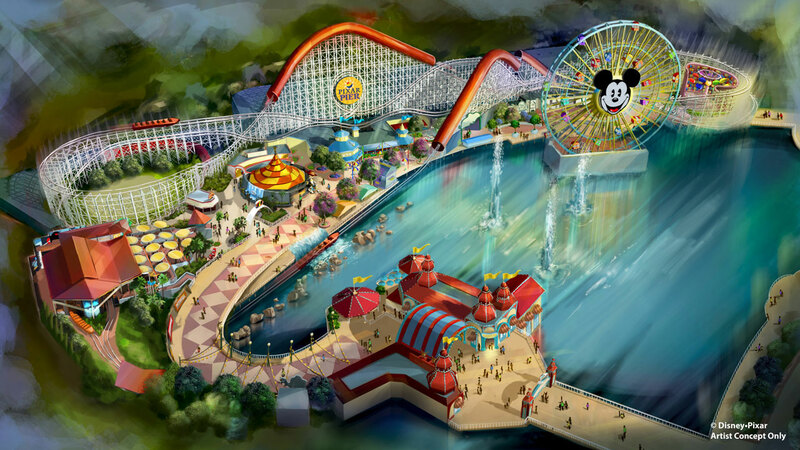 According to the blog, the remaining portion of Paradise Pier, which includes Paradise Gardens, Silly Symphony Swings, Jumpin' Jellyfish, Goofy's Sky School, Golden Zephyr and The Little Mermaid - Ariel's Undersea Adventure, will become a new area called Paradise Park. Pixar Pier, along with the Cove Bar, will open for a limited time during Pixar Fest which starts on April 13.